If you liked this show, you should follow PSE Podcast. On this episode of The Trevor Uren Podcast Trevor introduces his new co-host! They will have on two special guests! 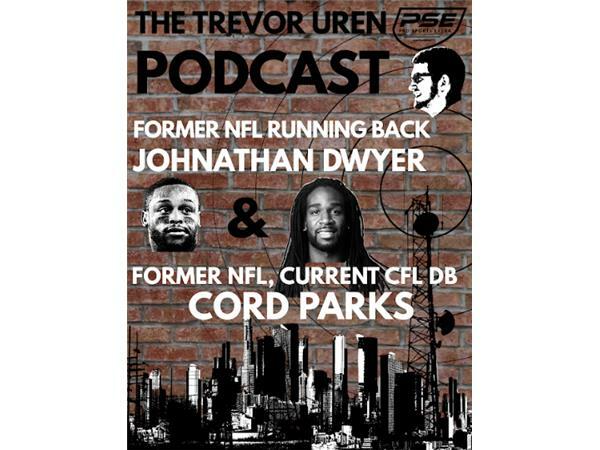 Former NFL running back Jonathan Dwyer and former NFL player and current CFL player Cord Parks. Johnathan spent majority of his career with the Pittsburgh Steelers and his career ended due to an off field incident as he was a member of the Arizona Cardinals. Cord Parks bounced around a few different NFL teams and never found a home now a free agent in the CFL what will Cord do?